These beautiful and stylish guéridons were created by the director of the leading bronze foundry of the French Belle Époque, Ferdinand Barbedienne. 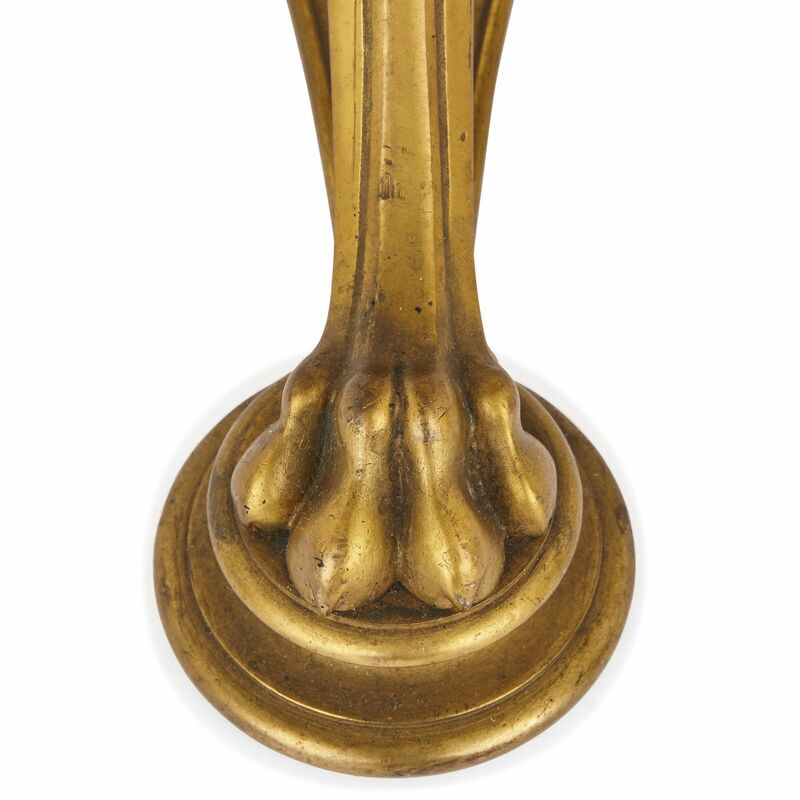 The guéridons feature ormolu (gilt bronze) tripod supports, which terminate in paw feet, set on circular bases. 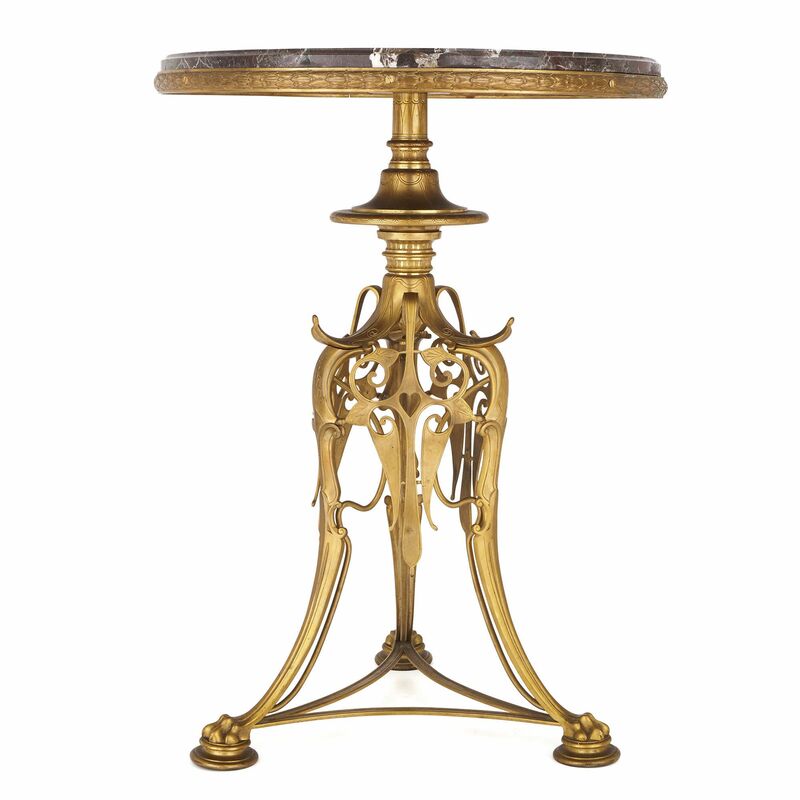 Each table’s three ormolu legs are linked by a stretcher. 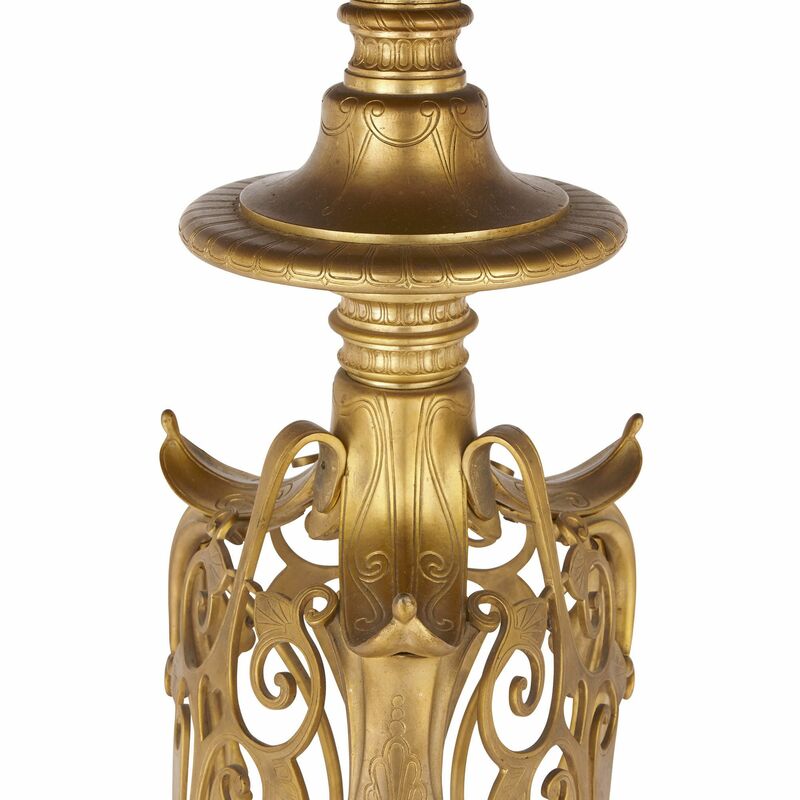 Their tops are decorated with ormolu pierced and symmetrical, stylised foliate designs. 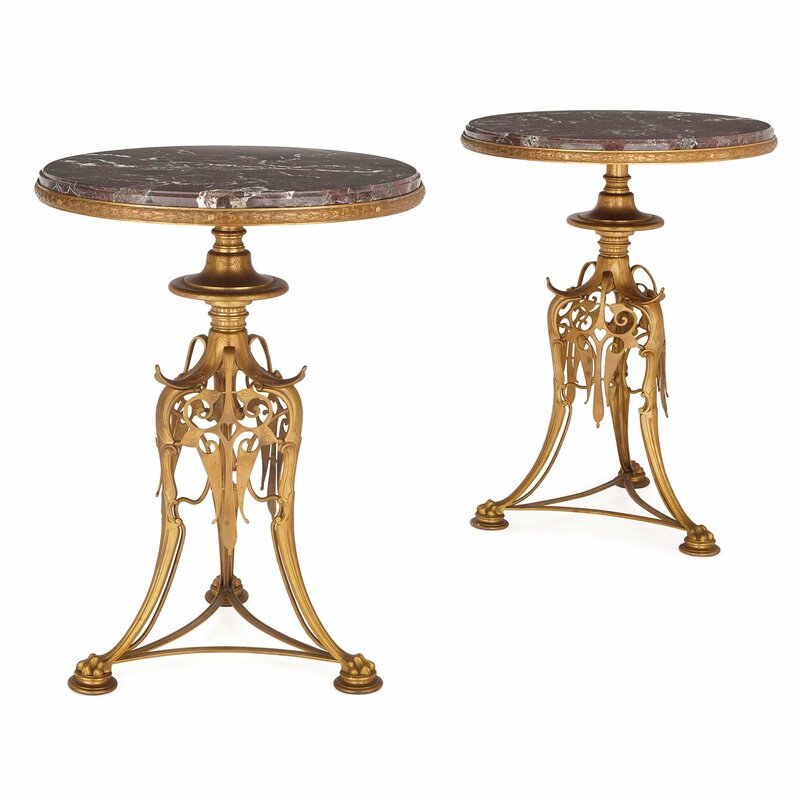 The legs are surmounted by shaped ormolu stems, which support circular ormolu tops, ornamented with incised leaf patterns. 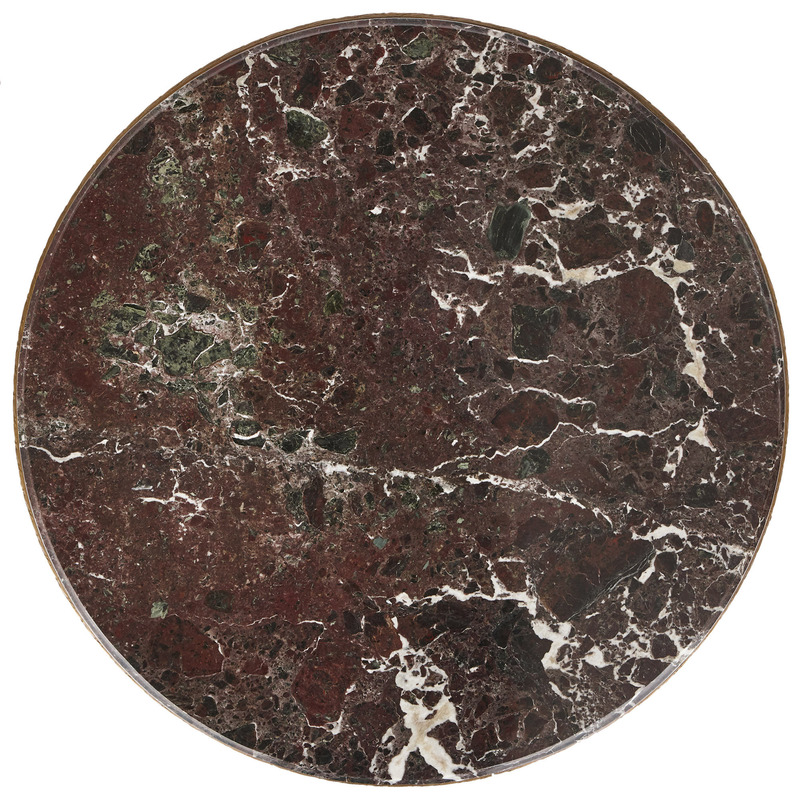 The tops are covered by deep red marble slabs, with flecks of green and white veins. ‘F. BARBEDIENNE’ is signed onto the base of both tables. 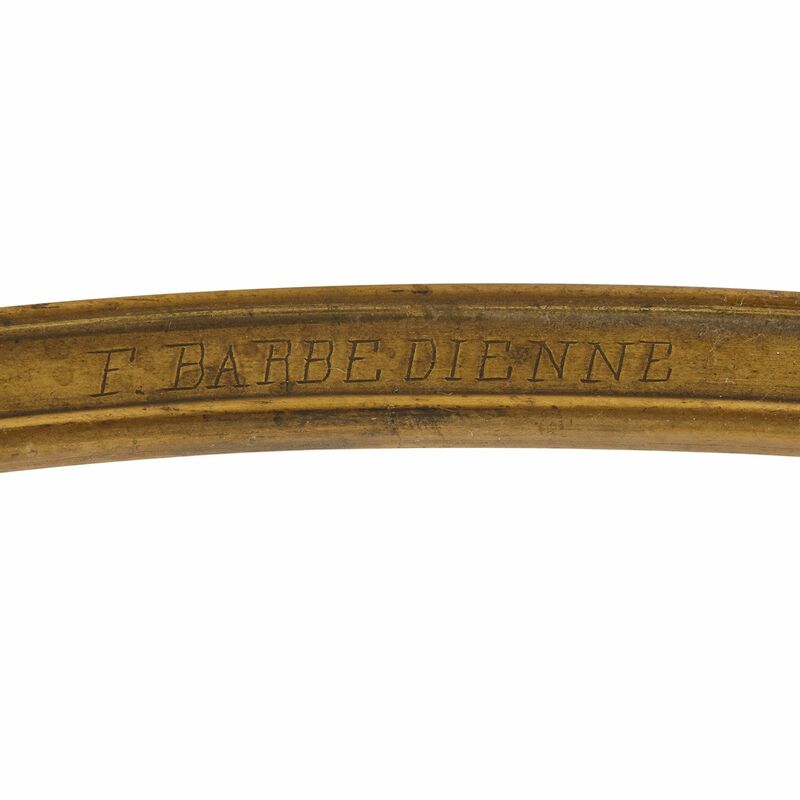 The manufacturer, the Barbedienne foundry, was founded by the talented bronzier, Ferdinand Barbedienne (1810-92). 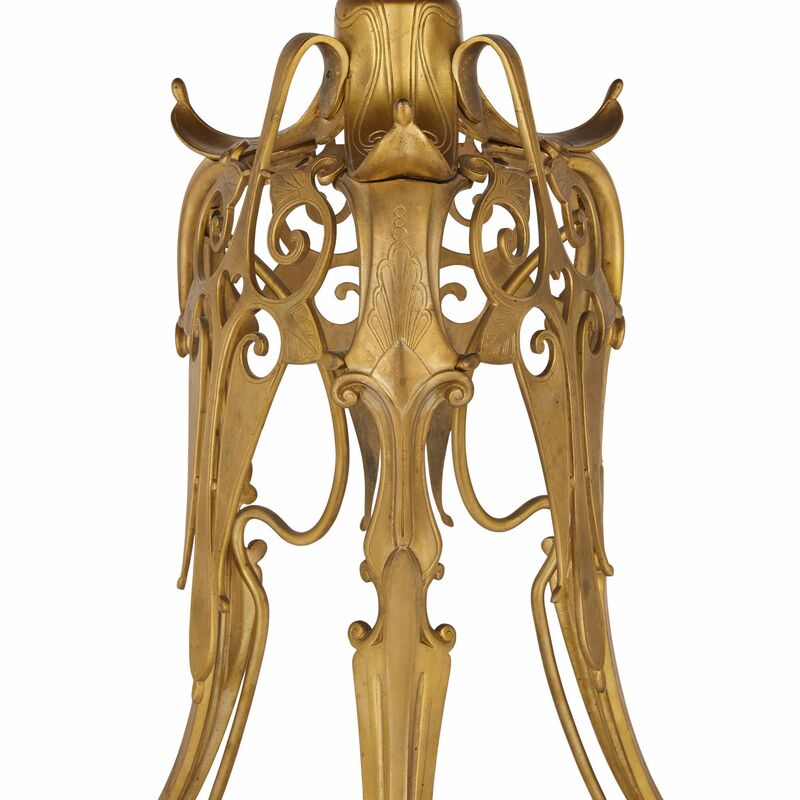 The firm produced a range of bronze items – from sculptures, to clocks, candelabra and tables – for an elite international clientele, and they won multiple awards at the major exhibitions of the period.